Musa Kalenga is an enthusiastic entrepreneur who is passionate about using technology to empower the digitally invisible. As CEO and Founder of Bridge Labs, Musa addresses the problem of gaining access to appropriate online tools for entrepreneurs and Small to Medium Businesses (SMB's) by building mobile platforms to support growth in emerging markets. Musa started his first business, Monatefellaz, a youth marketing consultancy, while studying at the University of the Witwatersrand (WITS). After Monatefellaz was incorporated into IHOP WORLD, as part of a merger with a division of the Brand Leadership Group, Musa worked as Managing Director before becoming Group Head of Digital Marketing at Nedbank, and then Facebook Client Partner for Africa. As a strategic marketer for these two companies, Musa worked with foreign governments and multinational companies to create innovative digital products and solutions in the travel, insurance, automobile, FMCG and banking industries. “Musa has a genuine passion for the African continent, and rich entrepreneurial experience.”- Andile Masuku, entrepreneur and host of the Africa Tech Roundup Qualifications and Achievements With a Bachelor of Commerce and Chartered Marketer (SA) designation from WITS, Musa has excelled academically, and was the top student in Sustainability and Future Fit Business at the Gordon Institute of Business Science (GIBS), while completing his MBA in 2015. Musa received three nominations for the prestigious Black Business Quarterly Awards in 2008, and was voted as one of the Top 200 Young South Africans by the Mail & Guardian in 2012. 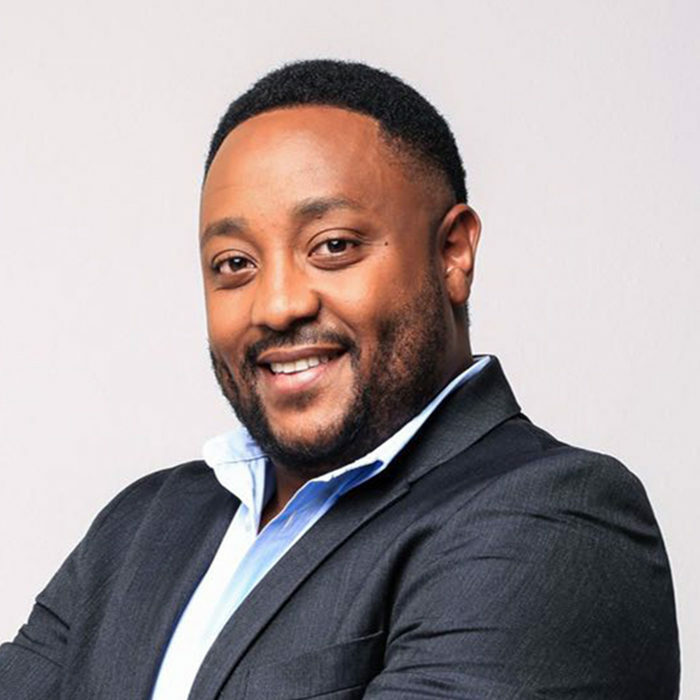 Musa was the first Chairman of the Youth Advertising Board of South Africa in 2005/6, and also holds the position of Head of Brand Portfolio for the Interactive Advertising Bureau (IAB). He is also a board member for Africa Teen Geeks. As a thought leader and influencer, Musa was a member of the Johannesburg Hub of the World Economic Forum Global Shapers Community, an organisation of inspiring young individuals who work together to make a strategic and grassroots impact on their communities through dialogue, policy contributions and partnerships. Musa is the author of Ladders and Trampolines , a book that shares anecdotes and experiences about working and doing business in Africa. Musa also writes articles on a number of topics, ranging from youth development and advancement in Africa to marketing, digital media, entrepreneurship and investment, as well as other human-interest topics. Read more of his writing here . Born in Zambia, Musa has lived in Scotland, Botswana and England. He currently lives in Johannesburg, South Africa.